Towards the end of the Rock n' Roll century, the Scots made their mark on the popular music scene both critically and commercially. But the halcyon days were really in the 1980s when so many groups burst onto the scene. The 1990s saw less talent flourishing. This is perhaps no surprise, considering that pop music, in general, was taking somewhat of a back seat during these years. The decade was dominated to some extent by the resurgence of Rock, as the Grunge movement and the Nu-Metal phenomenon blasted out of the USA and the Brit Rock tsunami led by Oasis and Blur and others ruled the waves of New Britannia. But some great pop music from Auld Caledonia managed to break through or even make a comeback in the 1990s. 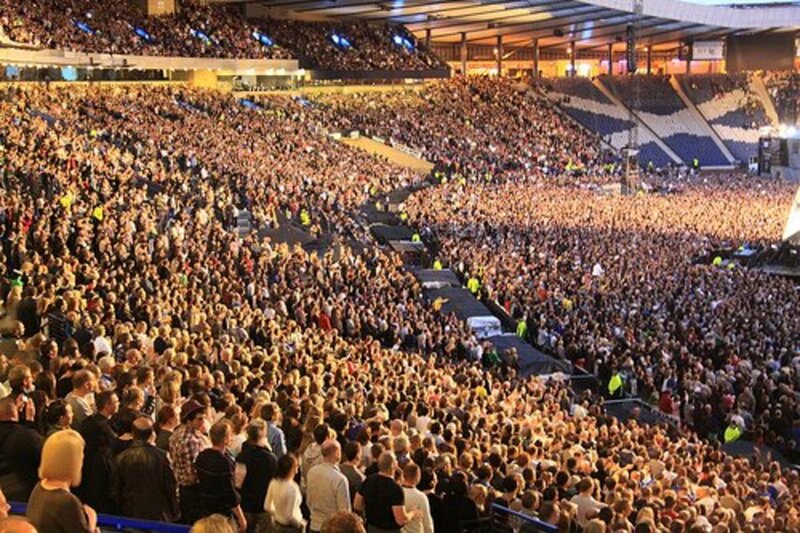 Here are 10 of the best Scottish pop bands of that decade. A Glasgow band formed in 1994 by ex-Primal Scream guitarist Jim Beattie and Judith Boyle. Both had also previously been in a band called Spirea X. They were joined by Simon Dine who created the sampled loops from obscure sources for which they became known and also Brian Docherty on bass and piano . The band then moved to a Lo-Fi "bedsit ethic" sound inspired by music of the 1960s, particularly girl groups of that era as well as a gentler take on the Beach Boys surf music. Dine left the band after the first few E.P. releases but he actually continued to work under the same band title meaning there were now two groups with the same name. Their eponymous debut album by Beattie and Boyle was released in 1996 followed by the 'Yellow Album' in 1997 by Dine's version of the group. The latter year also saw Boyle and Beattie perform as Adventures in Stereo in session recordings for DJ John Peel on his legendary BBC Radio 1 show. Two more albums subsequently arrived. 'Alternative Stereo Sounds' in 1998 and 'Monomania' in 2000 before the band broke up. Described as a 'Chamber Pop' ensemble, because they combine Classical and Popular music, they were formed by singer Chris Thomson in 1985 and have remained a vehicle for his song-writing talents. Over the years many singers and musicians have collaborated with the group. After signing a deal with Go! Discs Records their debut album 'Unusual Places to Die' was released in 1987. The second album 'Sweet Deceit' came out in 1990 on Island Records. Both albums gained many critical plaudits but little commercial success. The Bathers then moved to a German label called Marina Records and produced three albums with them during the 1990s, 'Lagoon Blues' in 1993, 'Sunpowder (1995) and perhaps their best recording 'Kelvingrove Baby' in 1997. A further album 'Pandemonia' came out on Wrasse Records in 1999 before the band dissolved in 2001. Eventually a comeback was organised in 2016 and The Bathers played at the Celtic Connections Festival in Glasgow of that year with further shows added. Then in 2017 recording began on a new album called 'Sirenesque'. A much respected band from Glasgow who were founded in 1996 as part of a college project by Stuart Murdoch and Stuart David. With their music professor Alan Rankine they recorded some demos. Their independently produced first album 'Tigermilk' was the result but it was the follow-up that made their name. The second album 'If You're Feeling Sinister' is regarded as one of the best ever albums of that period. Although it wasn't a big hit, like a mature wine it eventually achieved Gold status. Success followed success with the next album 'The Boy with the Arab Strap' reaching No.12 in the UK charts and a Best Newcomer Award at the high-profile Brit Awards in 1999. Their music changed direction in 2003 from Lo-Fi Folk Pop to a more radio-friendly sound on their album 'Dear Catastrophe Waitress' thanks to a collaboration with ace producer Trevor Horn. It brought the hit single 'I'm a Cuckoo' which reached No.14 in the UK charts. They also had a big hit single in 2006 with 'Funny Little Frog', taken from 'The Life Pursuit' album and reaching No.13. Many highlights in their career include shows at the Glastonbury Festival and an appearance at the Hollywood Bowl in 2006 accompanied by the L.A. Philharmonic. Belle and Sebastian continue to this day recording and touring and are still popular. Created in Glasgow in 1994 comprising members Steven Clark, John Clark and Amanda MacKinnon. The band joined an exclusive club after appearing on BBC's flagship show Top of the Pops when still an unsigned band. That was for the single 'Kandy pop' in 1996 and the year after came their first album 'The New Transistor Heroes' which scored a moderate if not spectacular success in the UK. But it actually fared better in Japan selling over 100,000 copies within the first week. Back home they continued in a modest commercial vein throughout the 1990s achieving a consistent string of minor hit singles without scaling the heights. But they were a strong touring band back then and appeared with diverse artists such as The Foo Fighters, Garbage and Gary Numan. They played their farewell gig at King Tut's Wah Wah Hut in Glasgow in 2003 but reformed in 2009 after having previously got back together for some shows. It took another five years before their fourth album 'Data Panik Etcetera' was released in 2014. It was a collection of many tracks that had remained uncompleted in earlier recording sessions and was well-received by fans and critics. A band coming from Bellshill in Lanarkshire who began in 1986. Strongly influenced by the music of the 1960s they mix humour and pathos in quirky, melodic tunes. 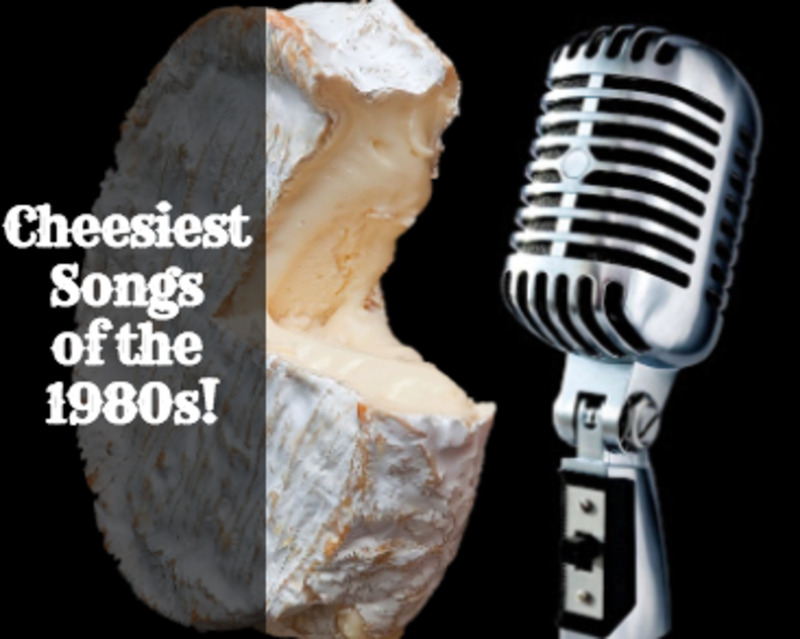 Although they have been around for a long time the 1990s was undoubtedly their best decade. Best known for their 1993 hit 'Serious Drugs' they have many claims to fame. A certain band named Oasis supported them at one time and Kurt Cobain was photographed wearing one of their t-shirts. They released four albums during the 1990s, 'Star Wars' (1991), 'Life Goes On' (1993), 'Gettin' Dirty' (1995) and 'Theme Park in 1996. Although never reaching great heights of success the BMX Bandits have maintained a strong and respectful cult-following. More albums followed in the new century plus a film documentary about the band in 2011. They have had a revolving door of multiple personnel throughout their career but their mainstay has always been Duglas T. Stewart around which the whole history of the band revolves. They released their tenth studio album 'BMX Bandits Forever' in 2017 and are still on the go. A band from Glasgow set up in 1986 with singers James Hackett and Pauline Hynds Bari, John Scally and Matthew Drummond on guitars, bassist James Moody and drummer Chris Quinn. After a couple of critically praised singles they released their first album in 1989. Described as a "minor classic" by NME the disc called 'Lyceum' was marked with a moody guitar sound of humbly produced Pop Music. They then progressed to a more electronic sound with samples for their next two albums 'Unholy Soul' in 1991 and 'Striving for the Lazy Perfection' in 1994. And in an old fashioned policy offering value for money the Orchids also liked to release singles and E.P. 's in their own right and not simply lifted from album tracks as many modern bands do. They broke up in 1995 after playing their final gig at the Sarah Records farewell party. However they reformed in 2004 and produced new material and went touring for the first time in twelve years. The album 'Good to be a Stranger' appeared in 2007 followed by 'The Lost Star' and 'Beatitude#9' in 2010 and 2014 respectively. A band from Glasgow who hit the musical trail in 1989 and have been on the go ever since with many discs to their name. Led by singer and songwriter David Scott, he has been joined by musicians Jim Gash, Dee Bahl, Brian McAlpine, Mil Stricevic and also Duglas T. Stewart of the BMX Bandits. Inspired by both Brian Wilson and Serge Gainsbourg the sound of The Pearlfishers is Indie Pop with vocal harmonies and orchestral decoration. Their debut album 'Za Za's Garden' came out in 1993 and had followed a couple of E.P. and single releases. Front man David Scott is the driving force of the band, the only constant member among many personnel changes and in an exercise of musical cross-pollination is a member of The BMX Bandits. But as well as writing and playing music he is also a broadcaster and a university lecturer. An Electronica band from Aberdeen who hit the dance floor in 1985 riding on the wave of electronic music that had been ushered in during the late 1970's and early 80's. However they were very influenced by 1960's Psychedlic Pop from artists such as Love and Syd Barrett and their first album 'Drop', released in 1987, reflected this style. But inspired by House Music they began to experiment with crossover sounds mixing Rock, Hip-Hop and Techno. Line-up changes disrupted the flow but the addition of Will Sinnott helped give the band a boost and explore new directions. Tragically he died in 1991, drowned when he was swimming in the Canary islands. Despite this loss the 1990's was the decade when The Shamen hit the mainstream with great commercial success and critical acclaim. They enjoyed five Top 10 UK Chart singles hits with classics such as 'Move Any Mountain', 'Boss Drum' and the No.1 smash 'Ebeneezer Goode' plus many other more moderate hits. 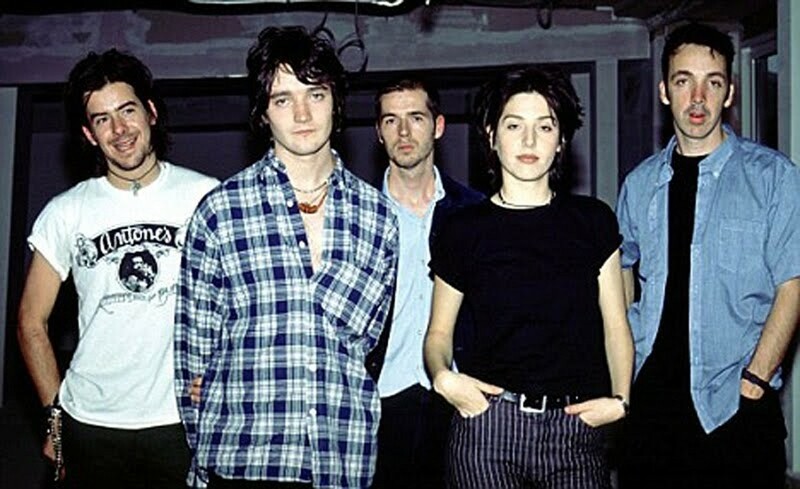 The band continued to explore and experiment right up to their final album 'UV' in 1998 before finally calling it a day to their illustrious career before the end of the new millennium. An Ayrshire band who hail from Irvine in the land of Rabbie Burns, the national poet of Scotland. Formed in 1986 they began as a covers band playing bars and clubs in the county. 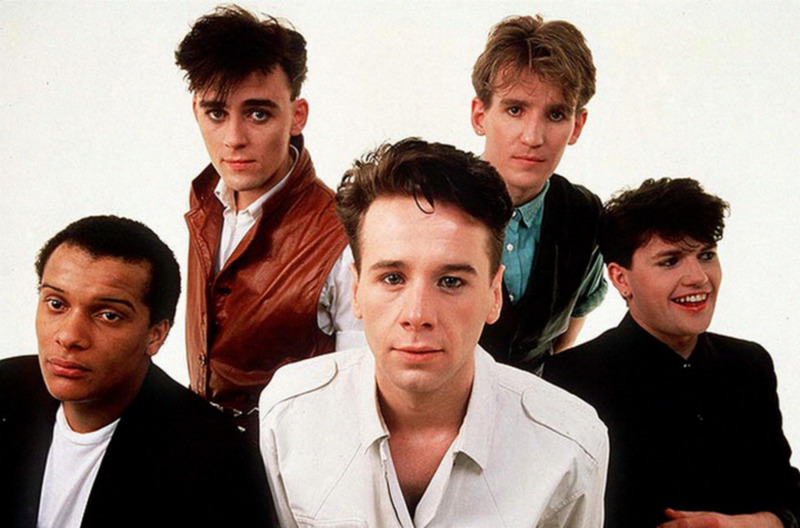 The original members were Frank Reader on bass, who soon after became their vocalist, Davy Hughes and George McDaid on guitars and drummer Paul Forde. But the following year the line-up changed with the inclusion of Paul Livingston and John Douglas on guitars with Stephen Douglas on drums. McDaid and Forde had gone with Hughes now playing bass. They were signed up by Go! Discs a year later but it was another three years before their debut album saw the light of day. But it was worth the wait as the 1990 release of 'Cake' brought considerable success including a three-month residence in the lower half of the Billboard 200. The album sold moderately well and set the pattern for their future in the commercial sense. Never breaking through to the top of the charts and into the mainstream whirl, they have nevertheless continued to write and perform great music. A well-regarded band with a loyal cult following across the world who have never gone away and never ceased to produce quality music for the discerning listener. Formed in Clydebank in 1982 by bassist Graeme Clark and drummer Tommy Cunningham. They were joined by keyboardist Neil Mitchell and then singer Marti Pellow. They signed with Polygram in 1985 and their first single 'Wishing I Was Lucky' hit the UK Top 10. The subsequent album 'Popped In Souled Out' was a massive UK No.1 hit. 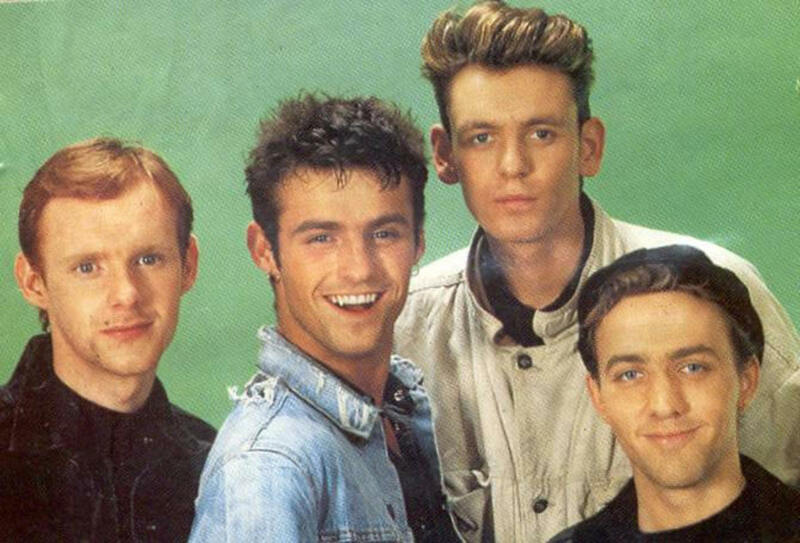 The band were also enjoyed success around Europe and a clutch of smash singles in the late 1980's. They shaded a little commercially at the beginning of the new decade in the single charts but then came their 1990s renaissance. Their song 'Goodnight Girl' hit the top in 1992 but they even outdid that with their famous cover of The Troggs 1960's song 'Love is All Around'. It was the title track of the blockbuster movie 'Four Weddings and a Funeral' in 1994 and it spent an incredible 15 weeks at No.1 in the summer of that year. More Top 10 hits arrived with 'Julia Says', 'Don't Want to Forgive Me Now', Somewhere Somehow' and 'If I Never See You Again' in an incredible run of success in the 1990s. Although less prolific in the 2000s they still had an audience willing to buy their records and see them live.. Eventually however in 2017 Marti Pelllow quit the band to concentrate on his solo career. So although the 1990s were not such fertile ground for the gifted singers and musicians of the lighter musical art we can appreciate those who did grace our radio waves and TV screens. 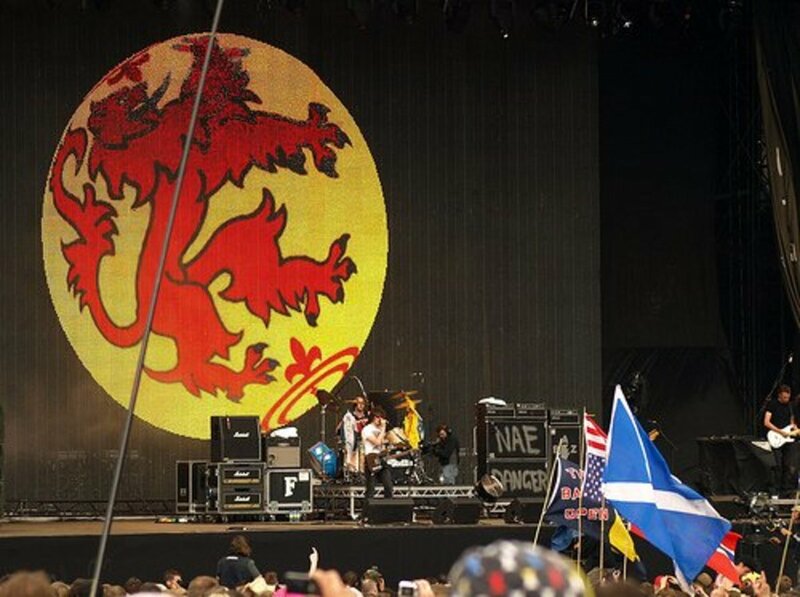 It was all the better for the Scottish bands that did enjoy the limelight as they were diamonds that shone more brightly in the fallow earth of that decade. 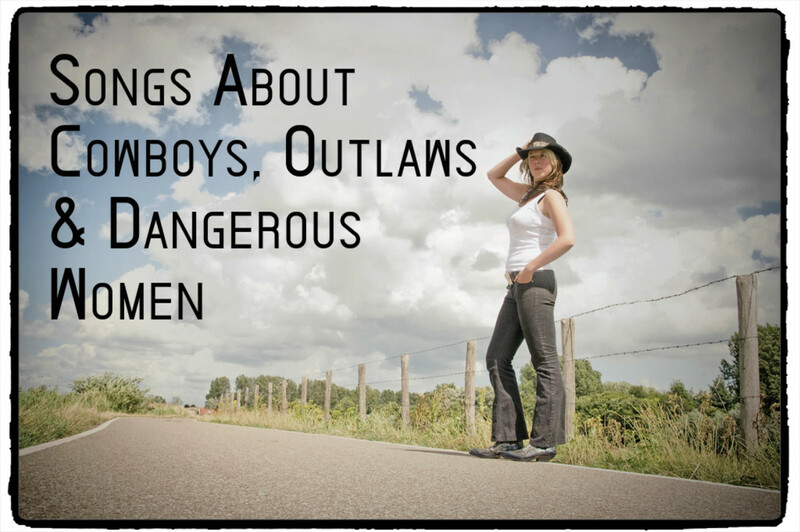 Whether monsters or minnows of the classifications they all had something to offer. And more was to come in the new millennium.